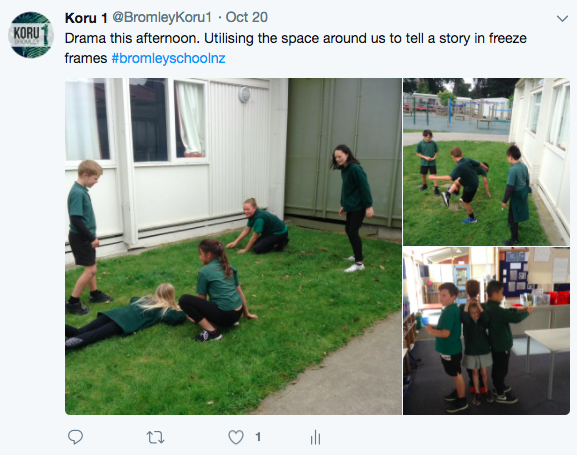 We have been learning about the elements of drama on Friday afternoons. It has been a fun and exciting way to finish the week. We are exploring space, focus and mood. We have been thinking of creative ways to use our bodies and the space around us. We are working on staying in character and concentrating on our role. We are finding different ways to use our facial expressions and body language to convey the mood. Drama is a wonderful art to build our confidence, try something new and explore our creativity. It has been important for us to cooperate in our groups, think quickly and show courage.